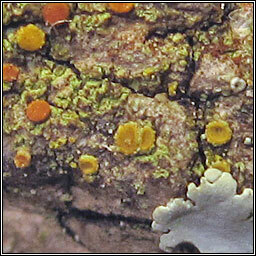 Thin, smooth thallus, whitish-green to greenish-yellow thallus with circular pale greenish-yellow soralia. 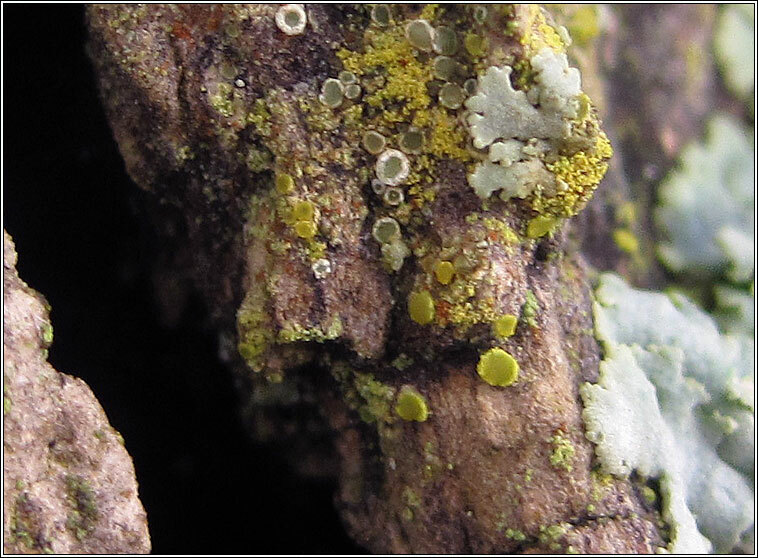 Apothecia with yellow discs, often white-pruinose, margin often esoridiate. 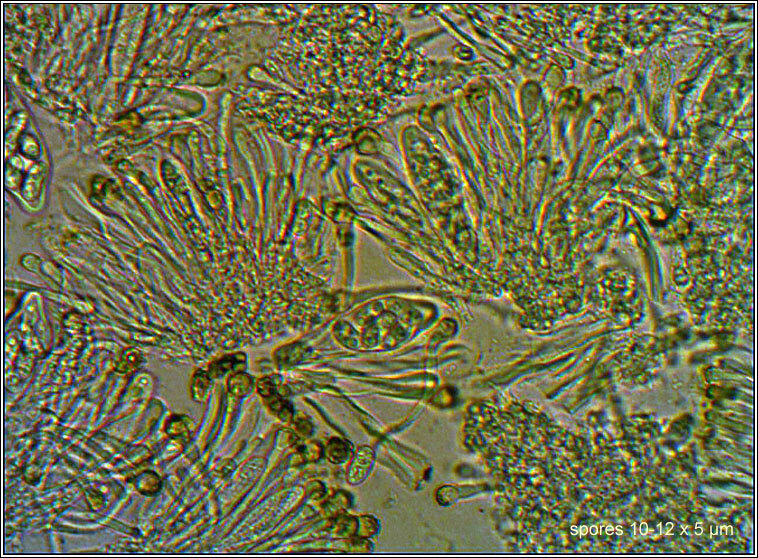 Spores (9-)10-13 µm, septum 3-4 µm. Microscope photograph below.